Play free Morse Code Machine Online games. Learn and practice Morse code with this online Morse code training program. Listen to morse code and guess letters and words, morse the letters. Test 1 Listen and Guess: Listen to the Morse Code and then select which letter or number it is. 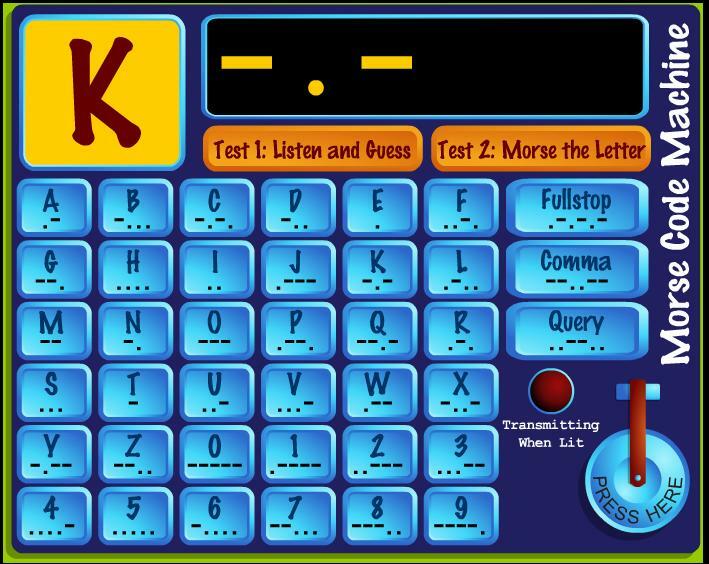 Test 2 Morse the Letter: Convert each letter or number into Morse Code. Credit & Special Thanks to: Boyslife, the official publication of Boy Scouts of America. .